If you’re only in Beijing for a limited amount of time, there might not be time to explore the dining scene by yourself. To save your thinking/research time, this guide gives you a list of 10 amazing restaurants that you will not regret visiting — with a variety of China’s top cuisines. 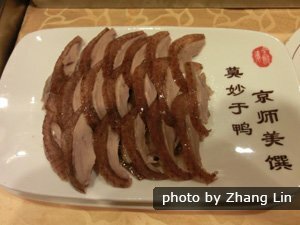 When in Beijing, you mustn’t forget to try Peking roasted duck, and you won’t forget the experience. 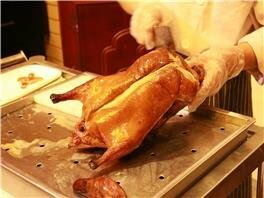 One of the most renowned restaurants to do so is Qianmen Quanjude Roast Duck Restaurant. This is one of the oldest restaurants in the capital, dating back to 1864, and they prepare a great Peking duck. 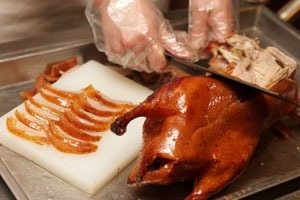 Serving an annual 2 million Peking ducks to over 5 million customers, you know it is bound to be amazing. Transportation: If you are taking the subway get off at Exit B at Qianmen Station (前门站)on Line 2. 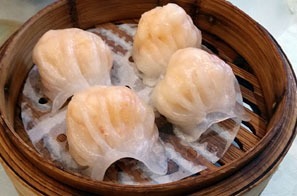 Din Tai Fung is part of a worldwide chain specializing in dumplings. The quality of the service and food is high, and its Taiwanese origins ensure that it is foreigner friendly and the prices are reasonable. The menu has English translations, featuring loads of pictures for easy browsing if this is one of your first experiences with dumplings. Transportation : Get off at Dongzhimen Station (东直门站) on Line 2, and take Exit B1. Transfer to bus 401 to reach Dongwaixie Street Station (东外斜街站). For the best, and safest, hotpot in town, Hai Di Lao is a no brainer. It’s a huge chain with multiple branches, has excellent quality ingredients, makes the country’s most famous hotpot sauce, and has great service. We recommend ordering the fresh noodles — they’re stretched right at your table for great entertainment (and a photo opportunity)! Transportation : Use subway Line 6 to get to Dongdaqiao Station (东大桥). 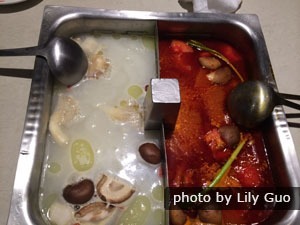 This restaurant, located in Longtan Park, is a great place to check out Sichuan cuisine if you want to have hotpot, but also some regular dishes. Their hotpot broth is cooked using an array of local ingredients, and the atmosphere is one traditional of restaurants like these, making for an authentic experience. Transportation : Take bus 60 and get off at Longtan Park Station (龙潭公园). King&apos;s Joy is undoubtedly one of the best vegetarian restaurants in town. The dishes are made using the freshest vegetables and ingredients, generally from close by organic farms or from the special regions they hail from. The restaurant is conveniently located close to Yonghegong Lama Temple and thus conveniently follows a visit to the temple. Transportation : Take Subway Line 2 or 5 and get off at Yonghegong Lama Temple Station. Take Exit D to the west. Established in 1998, Jin Ding Xuan Restaurant is somewhat of an iconic restaurant, serving Cantonese cuisine, as well as some Sichuan and Shandong dishes. It is open 24/7, and you’ll have to queue if you choose to go during lunch or dinner times, but the delicious food and buzzing atmosphere make it a worthwhile experience. Don’t forget to grab a picture of the outside, as its designed to look like a large Chinese temple. Transportation : Using the subway, get to Yonggegong Lama Temple Station (雍和宫站) using either Line 2 or Line 5. Exit through Entrance A and you’ll have to walk for about 360m. Choy’s Seafood Restaurant is a trendsetting seafood restaurant featuring Cantonese and Sichuan cuisine. Delicious food, delicate dishes, and relaxing surroundings make it a great place to taste traditional Chinese cuisine. It provides English menus for ease of ordering. Transportation : Take or transfer to Line 10 to get to Sanyuanqiao Station (三元桥站) and take Exit C2. Walk for 20 minutes to get there. This charming little courtyard restaurant is one of the city’s most unique outdoor venues. 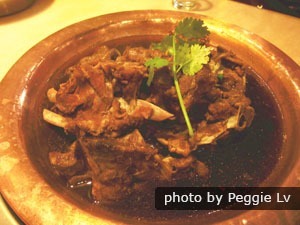 It brings the fresh flavors of Yunnan Province all the way to Beijing. It serves dishes like rubing (traditional grilled goat cheese), grilled chilli fish, spicy stir-fried mushrooms, “crossing-the-bridge noodles” (guoqiao mixian), fried shrimp and stir-fried wild vegetables (yecai). The menu is fixed, so you don’t need to think about what to order. Cocktails and wine are available too. Advanced reservations are recommended, especially for the candle-lit outdoor terrace during the warmer months. 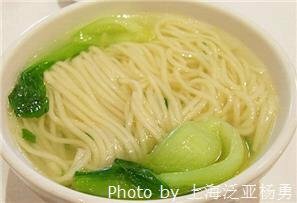 Recommended dishes: rubing (a traditional grilled goat’s cheese), grilled chili fish, spicy stir-fried mushrooms, “crossing-the-bridge noodles” (过桥米线), fried shrimp and stir-fried wild vegetables (野菜). Transportation : Take Subway Line 2 to Guloudongdajie Station (鼓楼东大街). Hua Jia Yi Yuan has three branches each with their own specialty. The Guijie (Ghost Street) Restaurant is simple and unsophisticated, the giant transparent ceiling in the front courtyard is unique, and makes you feel as if you are in a garden while still being indoors. This is thus a great option for Beijing’s colder months. Transportation : Take Line 5 and get off at Beixinqiao Station (北新桥站). Take Exit B. 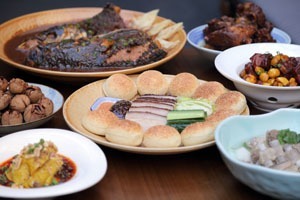 Black Sesame Kitchen is tucked away in a hutong and makes homemade dishes. The biggest difference between this restaurant and others is that you can see how each dish is made. It is a good, easy way to ease into Chinese food. It is beloved by many foreign tourists. You can enjoy a meal and chat to people from all over the world. The staff don’t offer you a menu. The dishes available depend on whatever the chef decides to cook on the day. Make sure you make a reservation in advance as it is a reservation-only restaurant. Transportation : Take Line 5 to Dongsi Station and take Exit E. Walk for about 20 minutes to get there. 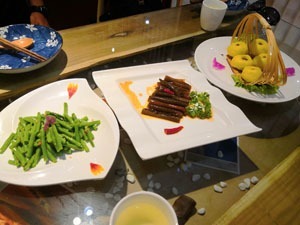 Why not take a tailor-made tour especially focused on Chinese food? Our guides can help you understand the culture behind the food, and take you to the best places to sample Chinese cuisine. 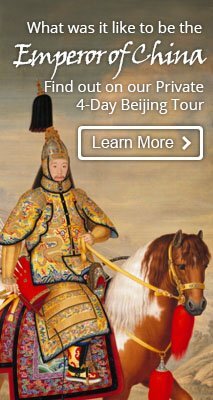 Our 13-day private tour itinerary takes you to some of China’s best places (Beijing, Xi’an, Chengdu, Guilin, Hong Kong) and best foods: get a really Broad Taste of China. Need some help putting together a tour, but have very specific things in mind that you want to do or eat? We can tailor your own unique China experience. Our Top 17 Beijing Bars recommendations include several with eating options.